Now your baby can suckle actively just like natural feeding and won’t have to learn a different way to feed! They are amazing bottles my baby is nearly 6 months old solely breastfed and I couldn't get her to take a bottle but within 2 days of using your bottle she is drinking like a trooper. They are truly fabulous!!! WHY IS THE SUCKLE FEEDER UNIQUE? It feeds from the teat, not the bottle, just like a breast. So baby can feed in a more natural position and the feed is delivered by suckling on the teat not just flowing under gravity as in vented bottles. It responds like the breast to the action of a baby's lips, jaws and tongue, encouraging slower feeding and longer suckling, to properly exercise and develop muscles, allowing your baby to feed at his natural pace. This leads to improved speech development and reduces colic and reflux, over feeding, guzzling and the risk of feed entering the middle ear or respiratory tract. 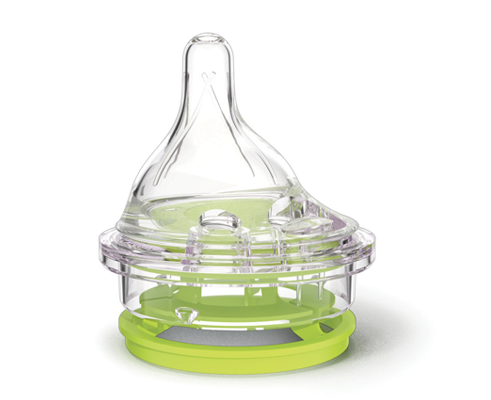 Patented technology means that the air the baby can swallow during a feed is significantly reduced. No other baby bottle works like this. I am exclusively breastfeeding but we bought this bottle so my husband could do a daily feed from about 6 weeks old. This gives me a well-needed break and allows him to bond with his little bud. 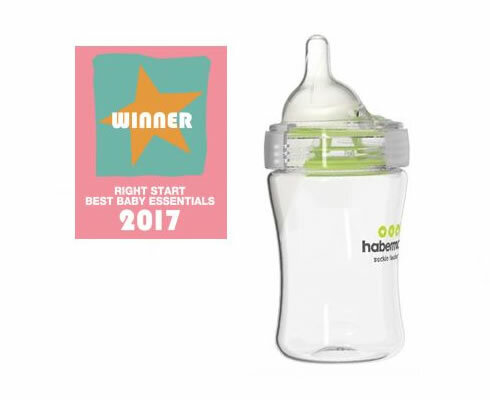 We intitallly experimented with a different bottle also designed for breast fed babies (because it came free with the electric breast pump) but our son was taking in a lot of air with it and dribbling milk all over the place. After a lot of research we went for this bottle and we're so glad we did. The suckle action of this bottle is far superior. Baby is still required to latch as he would with the breast but he also controls the flow of the pre-filled teat (be sure to follow the instructions on this) so it means no air is gulped and no milk lost. He has had no problem going back to breast either. 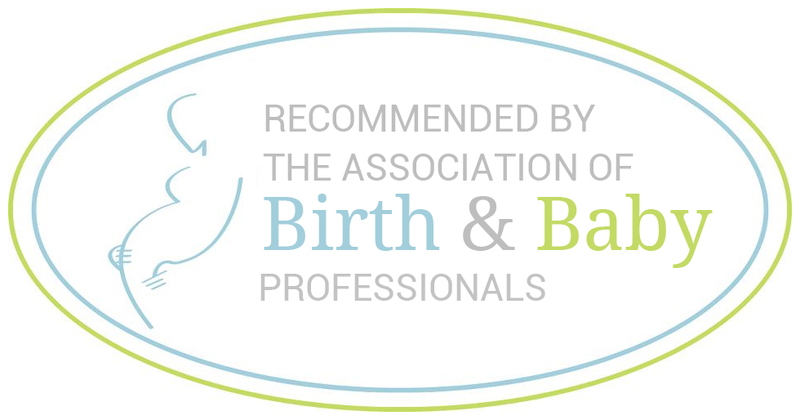 Would not hesitate to recommend to other breastfeeding mums. Its size means it should last him through to weaning. Happy baby, happy Daddy and less exhausted Mummy! (Boots customer). A perfect teat for breastfed babies. Finally! 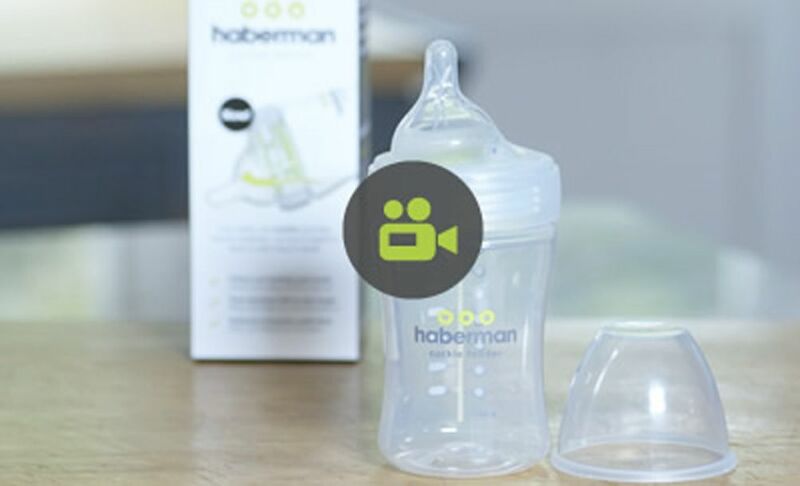 The Haberman Suckle Feeder reviewed by Tara - Mum of three.